Okra is one of the simpler seeds to harvest in the home garden. These large, abundantly producing plants produce large, easy-to-handle seeds and pods. 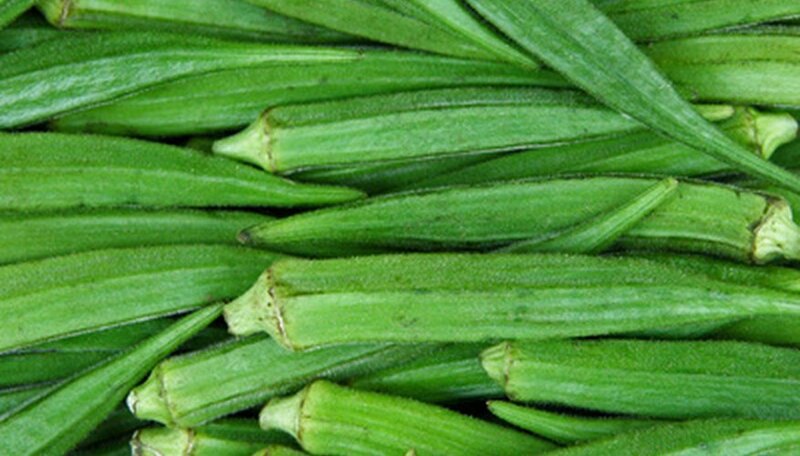 Okra seed has a short shelf life, quickly losing viability. Saving seed from your healthiest and best-producing plants ensures that you know the seed is fresh and likely to germinate. You also have control over the storage conditions, further ensuring the okra will germinate when you plant it the following spring. Leave some of the okra pods on the plant when harvesting so they can reach maturity. Harvest pods from at least two plants when possible, to ensure genetic diversity in your crop each year. Remove the okra pods when they turn brown and the sides begin to split. Harvest the pods for seed as they ripen, otherwise they may split and spill the seed in the garden. Spread the pods out in a well-ventilated area that is out of direct sunlight. Leave them to dry for five to seven days. Label a paper bag with the seed variety and date harvested. Place the okra pods in the bag, fold over the top, then store in a dark, 45 degree Fahrenheit location until spring planting. Alternately, place the pods in a lidded jar and store in the refrigerator. Split the pods open when you are ready to plant, and remove the seeds. You can store okra seeds out of the pod, but the pods help protect the seeds during storage. Harvest okra seed pods late in the season so that the storage time is minimized. Place a small packet of silica gel in the paper bag to help absorb any excess moisture. Moisture causes seeds to rot in storage. Since okra seeds quickly lose viability, sow a few extra in spring to make sure you get the number of plants you desire.